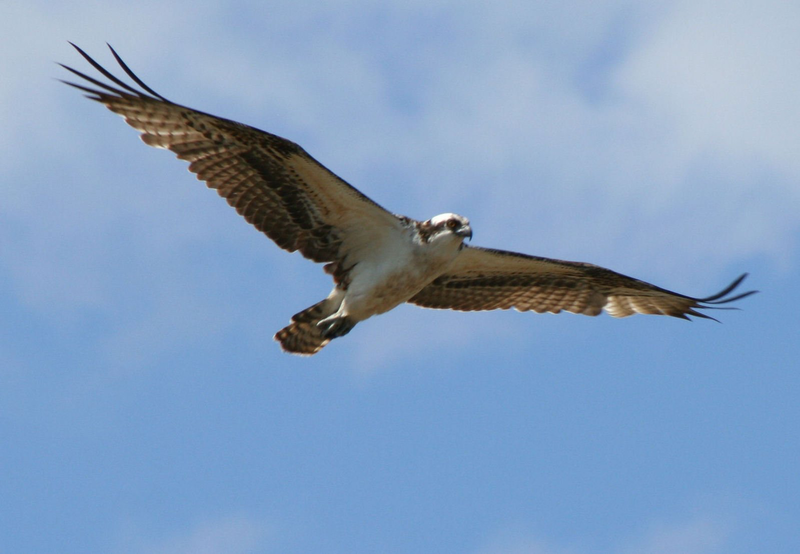 Ever look up in the air and see a bird circling high overhead with his wings outstretched, effortlessly staying aloft? How does it seem to just hover in the air? What that bird is doing is searching for natural rising pockets of air called thermals and using those to stay aloft. As most glider pilots, you will learn to seek out these thermals to provide lift and overcome the natural effect of gravity on the glider. For experienced glider pilots it’s not uncommon to stay aloft for hours on certain days. On days without thermals, we can often use the wind blowing over the ridges near Mt. 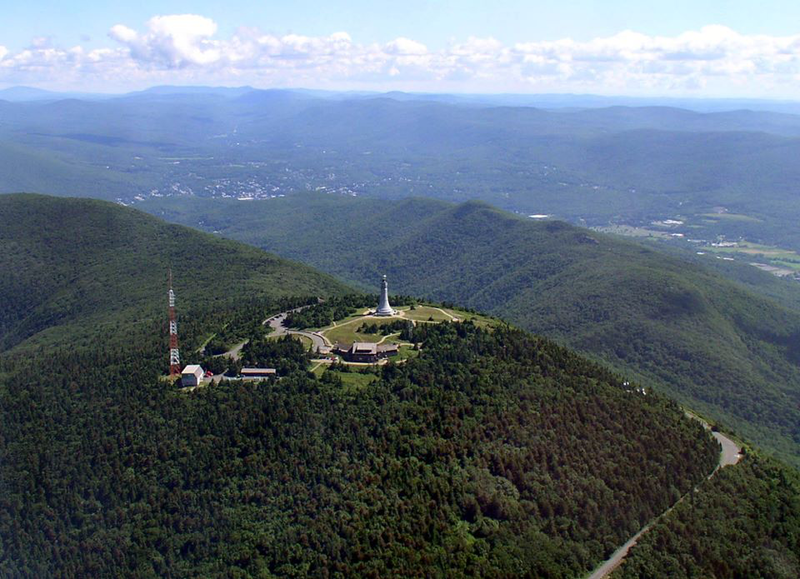 Greylock to stay aloft. Many glider student pilots only read about flying ridge lift in their textbooks. The Mohawk Soaring Club has many great ridges to fly right next to the airport! This will be part of your training. Mt. Greylock and surrounding ridges. How Long Does it Take to Learn to Fly a Glider? That’s totally up to you. You can train at a fast pace or take your time and just enjoy the magic of flight and the majestic scenery of the Berkshire Hills. As member of the Mohawk Soaring Club, you will received unmatched FREE instruction from one of our highly experienced FAA Certified Flight Instructors. 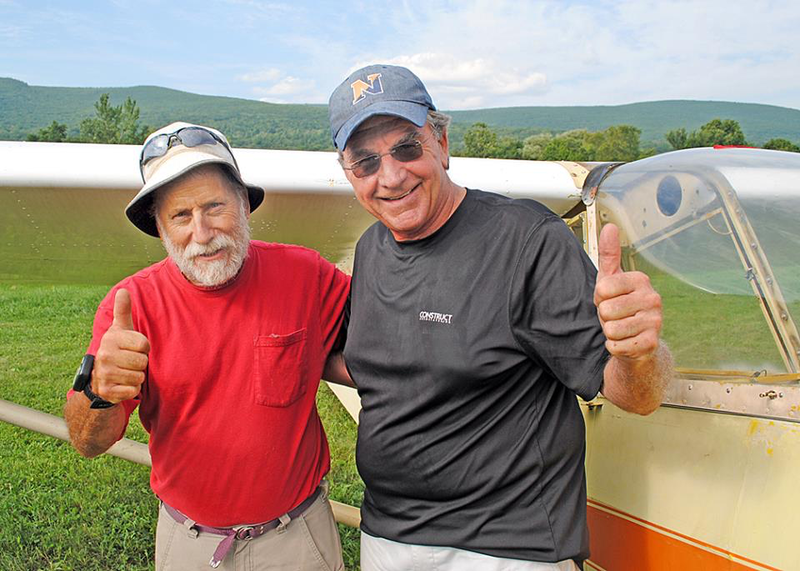 MSC President and Certified Flight Instructor Jon Goodman (L) with student pilot Bob Walker (R) after his first solo flight! The FAA requires you to have 10 hours of flight time, including 20 glider flights. Most will be with an instructor, learning the skills needed to fly solo and to pass your checkride. You will fly at least 2 hours solo as part of your training under the watchful eye of an instructor. Credit is possible for any flight training time you may have already in other types of aircraft. Since flight instruction is free there is no pressure to hurry the process. You pay only you membership fees and the cost of the tows. We take pride in our ability to create smart, safe pilots. Whether you are a new pilot or a pilot with lots of experience, learning to fly a glider offers something for everyone.